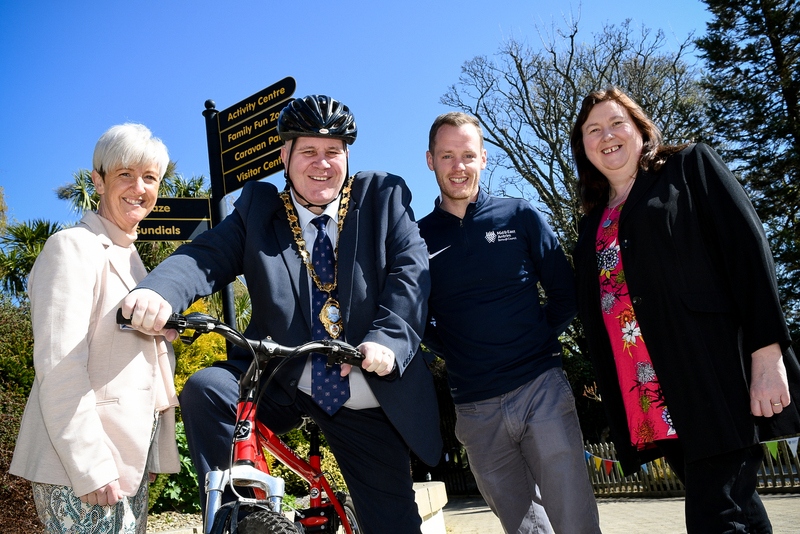 Citizens of Mid and East Antrim are being encouraged to get on their bikes and take part in cycling events happening in the borough as part of national ‘Bike Week’ from 9-17 June 2018. Mid and East Antrim Borough Council is welcoming families of all ages to the free events happening across Ballymena, Larne and Carrickfergus. On Sunday 10 June an Olympic Street Velodrome will be at Broughshane Street Car Park in Ballymena from 11am-6pm. Street Velodrome brings all the excitement and drama of Olympic style track pursuit racing with its innovative pop up velodrome, complete with steep banked corners. Bikes, helmets and professional coaching is provided for all ages, so if you fancy yourself as the next Chris Hoy or Laura Kenny come along to give it a go. There will also be a range of stallholders offering cycling information and cycle related arts and crafts. Street Velodrome is a project supported by the European Union’s PEACE IV Programme, managed by the Special EU Programmes Body. On Monday 11 June from 6.30-9.30pm at Ballymena Showgrounds families can take part in a Sprocket Rocket programme for kids on the 2G pitch, race events on the main arena track, bike maintenance advice and sign up to the ‘Sofa to Saddle’ programme aimed at those wanting to take up or get back into cycling. All abilities are welcome and you can even come and have a go on our specially adapted disability bikes and tandems. 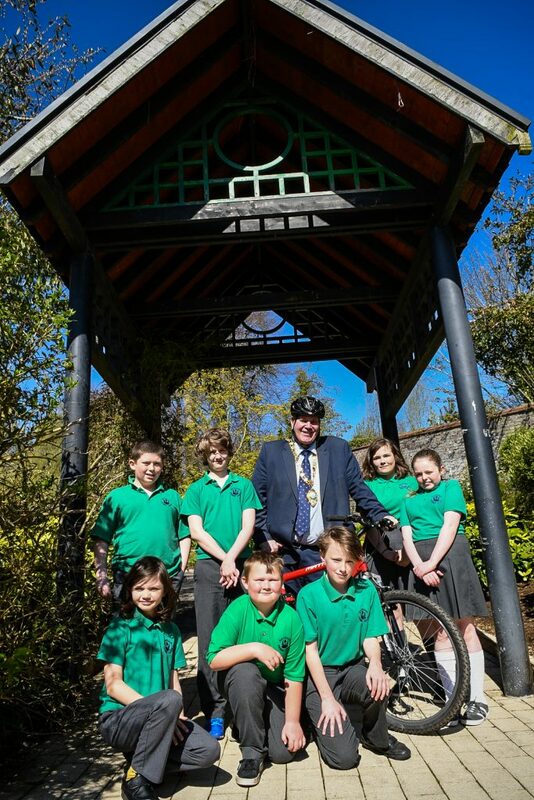 On Tuesday 12 June in Larne town centre there will be a family fun cycle from 7-8pm with a Sprocket Rocket programme for kids and bike maintenance advice. Larne participants are asked to assemble at Broadway, just off Main Street. The route goes along Main Street, Lower Cross Street, Broadway and Point Street. There will also be a family fun cycle, Sprocket Rocket and advice on Wednesday 13 June in Carrickfergus town centre from 7-8pm. Riders should meet at High Street before completing their circuit taking in Antrim Street and North Street. Outgoing Mid and East Antrim Borough Mayor Councillor Paul Reid, said: “Council wholeheartedly supports ‘Bike Week’ and many other events that promote an active lifestyle to our citizens. Each event will have live music to get those peddles pumping and experts on hand to provide advice. To take part in these free events you must register online. For more details or to download a registration form, visit here.